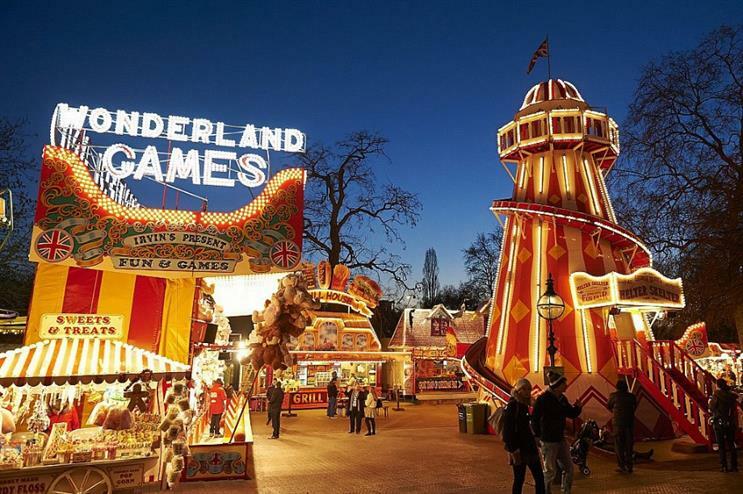 London Christmas festival Winter Wonderland has recorded its highest visitor numbers to date, with more than 2.5 million guests attending between 21 November 2014 and 4 January 2015. The six-week Hyde Park event, which is organised by PWR Events in conjunction with The Royal Parks, saw its numbers increase by 25% from approximately two million in 2013. Top attractions this year included Zippos Circus, the Lycamobile Ice Rink and snow and ice sculpture experience, The Magical Ice Kingdom, while brands such as Regatta and Ferrero Rocher staged activations. PWR Events was awarded the contract to promote and manage the Hyde Park event for the next three years last April. The agency originally launched Winter Wonderland in 2007. Jamie Wells, director of PRW Events, said: "Hyde Park Winter Wonderland has gone from strength to strength and we are thrilled with this years run. We now attract visitors not just from the UK but from around the world making Hyde Park Winter Wonderland a global travel destination for Christmas entertainment." Penelope Boyd, head of events and filming at The Royal Parks, added: "Hyde Park Winter Wonderland has become a must do event in the social calendar and we are very proud to host such a popular event. By enjoying the festivities and activities on offer visitors are contributing vital funds which go back into conserving and enhancing the park for future generations."